Beneficiaries of our Staffordshire arb training contemplating how to address a Chalara-affected area have several options, depending on the exact location and nature of the infection. The preferred option is generally burning on site, either on the ground or in mobile incinerators brought to site, the latter likely to be chosen due to their practicality for dealing with a large volume of leaves. Those considering this option are urged to check the relevant legislation on smoke control areas, in addition to taking into account the possible smoke nuisance risk. Alternatively, one may bury infected leaves in the grounds of their premises. Although ground burial can be done by both private individuals and local authorities, in the latter case, it would constitute a landfill operation requiring an environmental permit, in accordance with the Landfill Directive. Other possible approaches are less proven in their efficacy. This could certainly be said of composting on site, the lack of scientific evidence for its effectiveness meaning that any arborist training recipients contemplating it are advised to spread any resulting compost on or near the infected source wherever possible. This is as opposed to passing the compost onto third parties who may transport it elsewhere and thereby risk the spread of infection. Another less preferred option is off-site incineration or landfill. We would always advise against the movement of infected ash leaves for purposes other than destruction. Even if leaves from affected areas cannot be dealt with on-site, secure containment of the transported waste – whether by placing it in enclosed containers or bagging – is necessary. Any transportation of leaves for incineration should also be for the shortest possible distance. Nor would we recommend off-site composting and other biological treatment, given the uncertainty surrounding the right conditions for destroying the Chalara fraxinea fungus. Any potential residual risk can, however, be minimised if the resultant compost is only used locally. 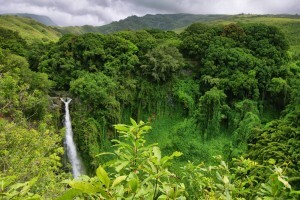 If an area is not infected at all – and the distribution of Chalara’s spread is by no means even throughout the country – there is no need to remove the leaves, they instead able to be left where they fall. Talk to Ian Morgan Arb today about arb training in Staffordshire that will educate you on the full range of means for addressing any Chalara infection of your vegetation. There’s no question of the extent to which Chalara dieback of ash – also known as ash dieback or just Chalara – represents a bane to the lives of many of those receiving arb training in Staffordshire. This fungal disease affects ash trees, causing crown dieback, leaf loss and bark lesions. Even worse is that it is usually either directly or indirectly fatal to trees, due to the weakened tree’s consequent vulnerability to pests or pathogens. Chalara has been responsible for the infection and death of a significant proportion of Europe’s ash trees, and since its initial discovery in the UK in nursery stock in 2009, it has become prevalent among ash trees in woods, hedges, plantations, parkland and urban areas, particularly in Eastern England. It is thought that infections first began to occur here due to fungus spores being carried on the wind from planted nursery stock on the continent. With Chalara now well-established in Britain, all chances of the disease being eradicated from here are remote. Ultimately, most of the country’s ash trees will be infected by the disease, in a manner akin to Dutch Elm Disease in the 1970s. 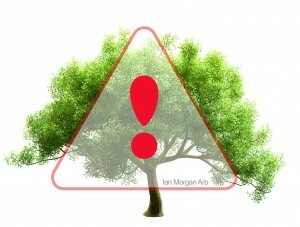 Ash trees with the disease can pose a major risk to people and property if they are not suitably managed by landowners. As a recipient of arb training in Staffordshire, it is important for you to carry out regular surveys of ash trees so that you can take appropriate action. There are certain ways of minimising Chalara’s presence and rate of spread so that you can maximise the amount of genetic diversity in your ash trees and ensure as little compromise as possible to associated species, general biodiversity and timber production. Above all else, the right management will help to preserve ash in the long term. 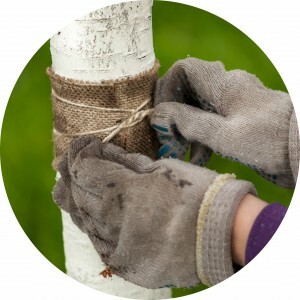 While ash trees can have certain undesirable effects such as damaging property or risking human safety, they can also be an immensely valuable part of the overall urban, suburban and rural landscape. Where the management of ash trees is advisable, getting this process right will help to enhance the trees’ value, access and other advantages. Deadwood, for example, is not merely a hazard, but also a vital ecological attribute that is depended on by many species. Ash trees should be retained where possible, in accordance with national guidance. Such trees should not be felled or pruned merely due to the likelihood of Chalara infection, as should be noted by anyone in Staffordshire who takes advantage of arb training.